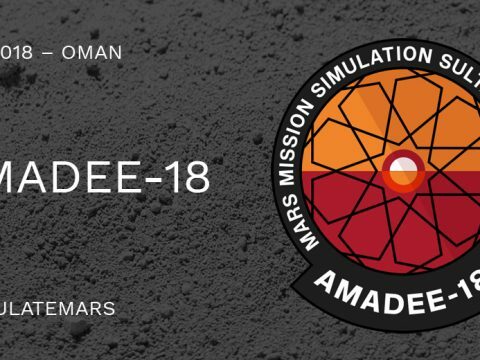 Ihe Austrian Space Forum, in collaboration with scientists from 10 nations and the European Space Agency, completed a simulated Marsexpedition in the South of Spain (Rio Tinto region). 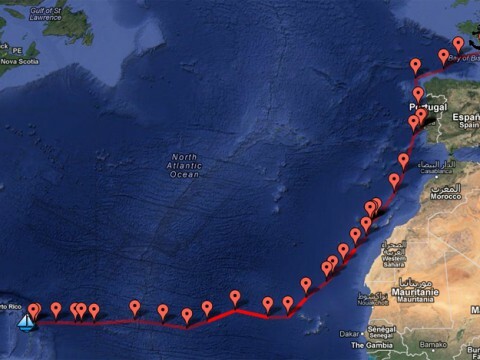 This article gives a concise overview of the goals achieved during the expedition. 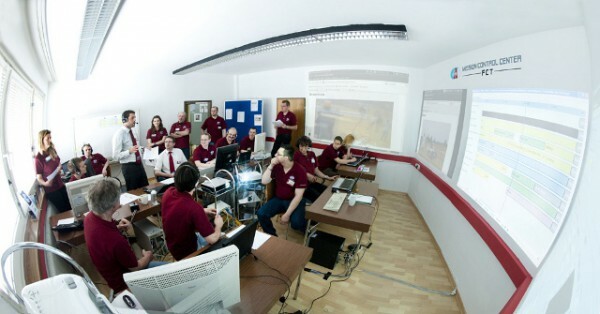 After more than six months of intense preparation, the simulation took place between the 17th and 22nd of April, 2011. 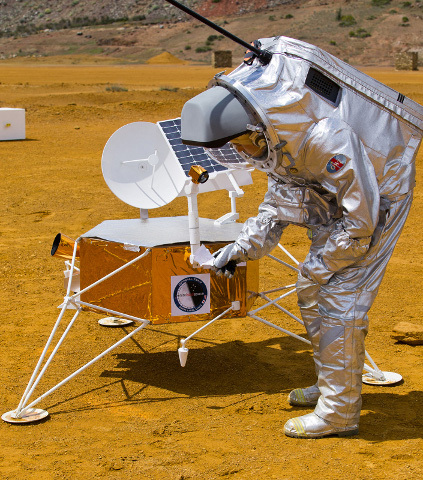 Although, due to very unusual heavy rain and wind, not all of the ten planned experiments were performed, this simulation turned into one of the most complex and eloborate Mars analog simulations which has ever been done in Europe. 70 specialists were part of the team, of which 30 were directly at the location in Rio Tinto. 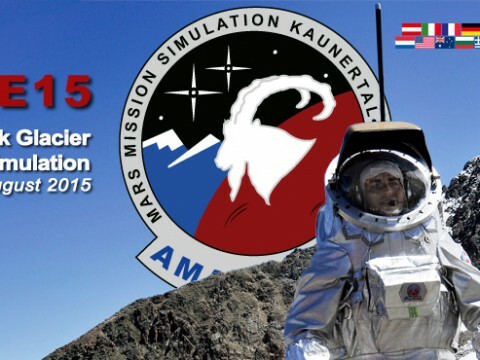 This was the first time after three years of development that the 45kg heavy spacesuit simulator was used within a complex mission. Two test “Astronauts” (Ulrich Luger, Daniel Schildhammer) performed daily assignments. They tested the off road capacity of the suit, the possibility to steer rovers and sterile data sampling (see below). 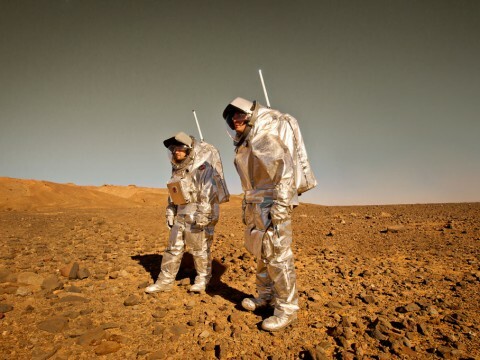 Scientists from the University of Manchester study the mikrobiological activities within the suit during its daily use: an important field of study for future mars missions. 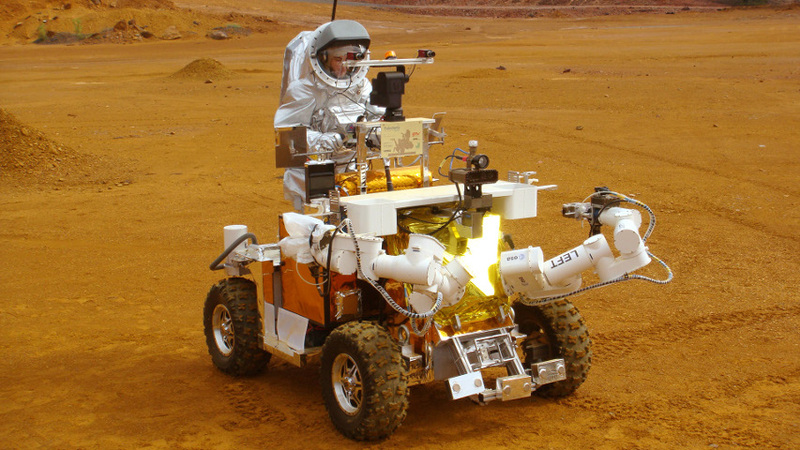 Newly developed Rover Phileas was first used in Rio Tinto. Primarily the new suspension and the On-Bord Data Handling System, which can be remotely controlled (via satellite) by Mission control centre were tested. A night vision camera was used as well as a hyperbolic SLR, which will be used for visualisation tests by While Label Space (a european competitor for the Google Lunar Xprize). Additionally, vibrations on the camera arm wer studied using sensors built by Object Tracker. After several years of developing, this was the first field test outside a lab of this 750kg heavy vehicles. For the first time also the interaction between the rover and spacesuit Aouda.X could be studied. This experiment included a series of tests for geophysical survey/study methods like they can be used in unknown territory (Georadar, Raman Spektrometer, VIS/NIR Spektrometry, Scaled Observations, drilling aparatus, collection of samples).The main goal is the optimisation of resources like time, covered distances, security, instruments, bandwidth etc., to efficiently tackle key questions in geophysics and astrobiology. In parallel the school experiment YETI (Youth Explores Terra Incognity) in the framework of the Sparkling Science Project “Tripolar“, which enabled students of BRG Lilienfeld/Austria to take biological data. ESA and CSAM have developed this monitoring system named Long Term Medical Survey (LTMS) and tested it on Aouda.X. The same hardware has been used in the antarctic station Concordia. 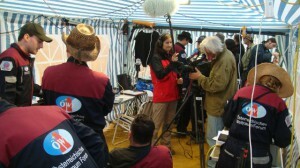 In parallel to the standard monotoring also the traingrid system of the spanish firm Traingrid was used for monitoring. Due to some problems with the bluetooth communication data were only partially obtained. 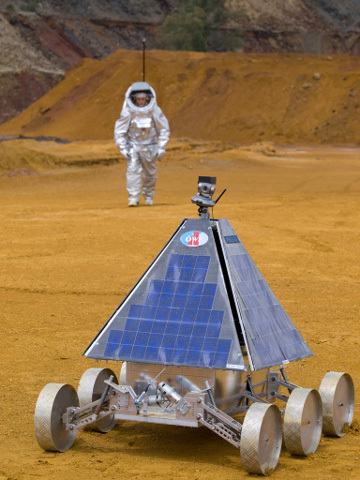 Aside a traditional flight control team (consisting of technicians, medical staff, directors, CapCom…) a specific Remote Science Support Team was responsible for the scientific activities in Rio Tinto. The team was under the leadership of Birgit Sattler/Univ. of Innsbruck. Erich Pröll filmt die Crew beim morgendlichen Briefing.